In motorsports, tenths of a second, grams, and hundredths of a millimeter have real effect on performance. All extra weight must be eliminated, and part tolerances has to be as tight as possible in order to get the maximum performance out of your race vehicle. We simulate suspension systems, engines, drive trains, aero parts, engine duct flow, valve train systems, etc. Simulating operating conditions and parameters yields useful information, e.g. about the caster and camber change as a function of suspension travel, valve train resonance frequencies at high engine speeds, and the loads of various mechanisms and their expected service life. Simulating the movement of parts relative to one another reveals possible limitations and helps in optimizing ranges of motion and accelerations, among other things. Rally and race cars can also be run in complete vehicle dynamics simulations, which shed light on how the whole vehicle package works, and how the components perform. This is really the only way of accurately estimating where money is best spent for performance improvements. The corner stone of Elmer Racing, the Elmgren family, has been active in motorsport since 1993. We have the experience and the equipment/software to do aero optimization, component design and optimization, 5 axis prototype-part milling, as well as vehicle performance and track simulation. 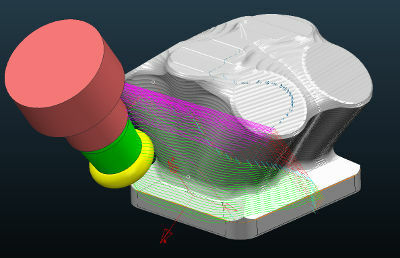 We're used to pushing component design to it's limits, minimizing weight and maximizing performance! Check out our online RaceShop, for some ideas of the kind of custom products we can make! Do you like money? We're offering it in exchange for work, and continuous learning and improving your multi-axis CAM and CNC skills. We have three spots open in our CNC team! 1-2 specialist CAM/CNC operators, and 1-2 machine operators. We specialize in difficult to manufacture parts, prototypes and quick turn around times. Currently this involves utilizing our CAM package to beat our 5-axis (actually 6-axis) tilt-table milling machine, and our 8-axis mill-turn machine into submission. We'll of course help you out in the learning process! The parts we CNC machine are some of the most difficult, and the machines and software we use are complex. If you're one of the best and can handle big challenges, or really want to become one, we want you! Basic physics understanding. Natural frequencies, vibrations and basic solid mechanics. Previous CAM machining experience is a big plus. Being able to handle tiny machine screws without loosing them is also a plus. Fluency in English is required. Swedish and/or Finnish is a bonus. Capability of meeting tight deadlines on a surprisingly frequent basis. Capability of working independently, with high level of self-management. But also consulting colleagues when needed, or if you find something important (funny that is) on the internet. 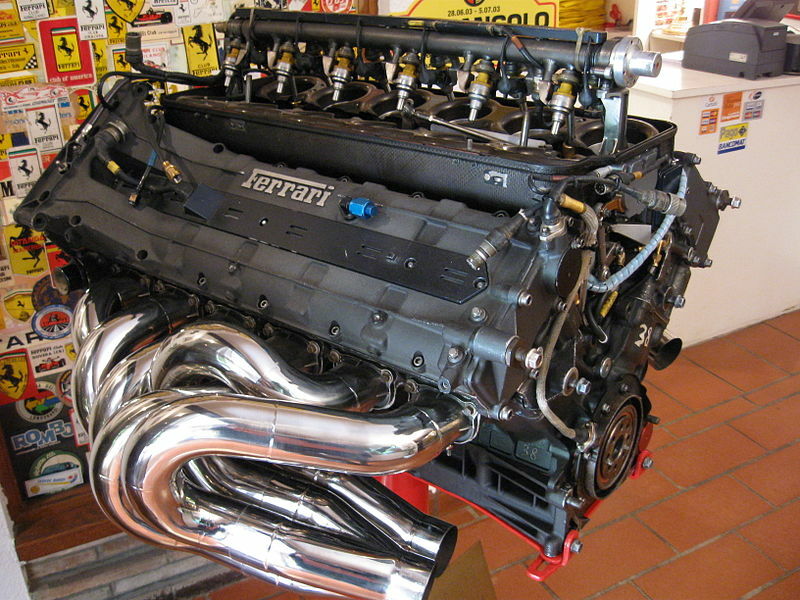 Bounty: Highest power-to-weight ratio engine? After winning the World Time Attack 2018 championship with our Elmer Racing "Thor" engine, in the superb RP968, we set our next mark at beating the highest power-to-mass (power-to-weight) ratio for any circuit racing engine. We have failed miserably though, since we have not been able to find any comprehensive list of the highest power output, and highest OEM power-to-mass ratio engines either available, or historical. We are therefore announcing a bounty of a free choice of any billet Elmer Racing merge collector (over 200 to choose from!) to whoever finds the most powerful and highest power-to-mass ratio OEM circuit racing engine! Create a post with picture, power, mass, and details of the engine on Twitter, Facebook, Instagram, or even Youtube! Tag #beatThor and @elmerracing on Twitter, Youtube and Instagram, or @elmerracingdotcom on Facebook, so that we'll see the entries. Engine details and links will help us verify and rank the claims! Clarification: Comments are very welcome, but to qualify as a entry, you must make a post with the above tags. Putting the data online to help others also (such as on Wikipedia) is highly valued, but not required. 5: Person submitting the engine with the highest power-to-mass ratio wins! 6: Bounty ends at 2018/2019 New Year's, standard time. 7: Adjustment and clarification of rules will be performed by Elmer Racing as needed. "Thor" officially the fastest engine in the world! The Elmer Racing billet custom racing engine "Thor" is now officially the fastest unlimited class TimeAttack engine in the world! 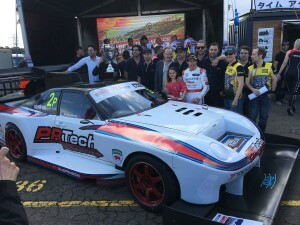 After four years of building and improvements, the Rod Pobestek owned and managed RP968, in it's first outing with the Elmer Racing Thor engine, took P1 at World Time Attack Challenge 2018 at Sydney Motorsport Park 13.10.2018, with a blistering new lap record!